A few weekends ago, I sat quietly with a friend in her newly made space for gathering souls. Her heart is to share the gospel, she’s an evangelist but maybe doesn’t know it yet. We watched some warrior women inspire us to live out the gospel for real…to be authentic disciples of Jesus…to be like him and to follow him with audacious imperfect faith. It is our tradition to gather for this weekend in the beginning of February, to glean from the worship and the teaching of women and men who love God big. It has become our ‘thing’… to commune together in a short, but full, 24 hours of building a bond created because we both love words and love The Word made flesh. 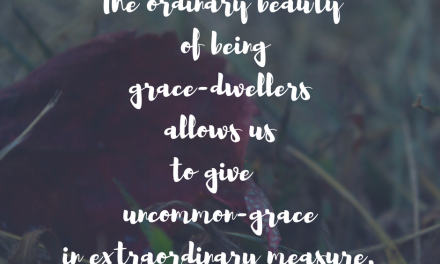 This is something we plan for… purposing to set aside the time and intentionally grow and pray and challenge one another to go deeper, to remain unchanged, to bleed grace all over the place as we go. But can I tell you something? I almost didn’t go. It was right after a winter storm dumping a heaping bunch of fluffy wet messy frozen white water all over the place. I don’t like to drive in snow. Actually, I really don’t like to drive. So heading into the suburbs of Chicago takes a hefty amount of courage. I was terrified of getting in the car and trying to navigate the snowy roads. Fear makes it difficult to make rational decisions. It can be paralyzing and it can deter us from the plan we are called to walk out. 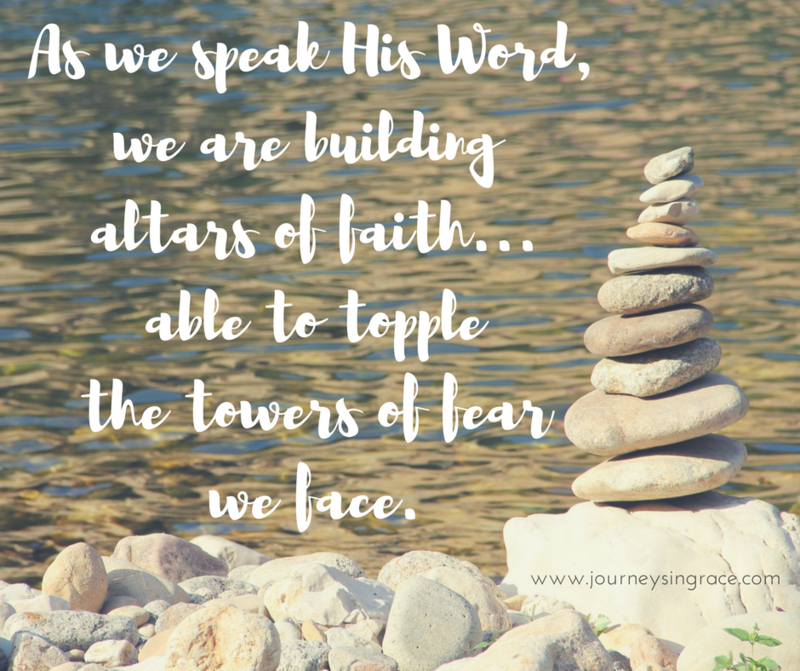 But sometimes we just have to face fear in faith and build altars of grace that tear down the towers of fear we face. Because the truth is that God loves you wildly and wants to meet with you daily to remind you of that. And sometimes we forget it in all the living we do and the naming and comparing and fretting and building. We forget that we were made for the sole purpose to glorify God and enjoy HIM forever. We miss the promises that remind us that fear has no place in a redeemed remade soul crafted by the very One who made the universe and all the things we see and don’t see. Because fear is an enemy of grace. It is a peace-stealer, gospel-message-wrecker, and a lie that keeps us from trusting the Father, and I’ve been letting fear win a lot, lately. I’ve been giving in to the worry of not-enough, what-if, and I-just-don’t-know in some of the spaces in my journey. And the thing is, I know the Truth. 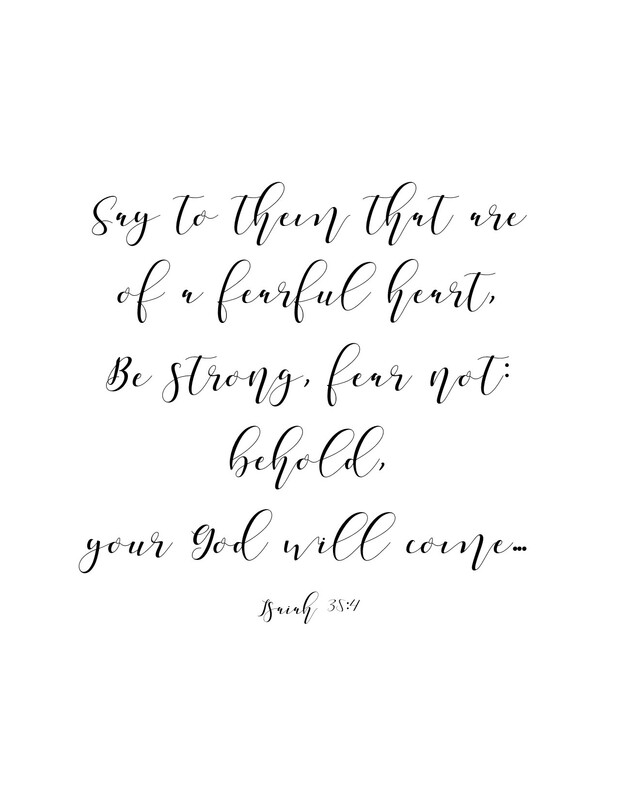 I know what God says about ‘fear not’ and ‘don’t be anxious or afraid or fearful’ of what man and this world can do because He has overcome it all. I get that! I know we have not been given a spirit of fear but one of love and power and of a sound mind. And that the victory is most assuredly ours in Christ. In my mind I know that fear won’t win the war, but if I am honest with you…and people in community are honest with one another…I have raised the white flag a few times in the battle and fear has been casting doubt over the grace-collecting. Most of those battles happen in the dark space where our thoughts are louder than the quiet waiting and resting that is meant to occur where God is at work and faith has its perfect work. That space where our armor is our defense and His Word is our weapon of choice and prayer is the stronghold that we build as we run into the strong tower of His embrace. And if we look, really look… we see that we are not alone and we are not losing the battle. But it takes faith to see. I found myself sifting through my favorite prophet’s words this week. I usually camp there when I am feeling weak and real and human. Isaiah had a way with words that resonate with my imperfect self. And I remembered the power of confessing His truth right in the midst of the journey. I remembered at the right time that fear is a bully and bullies are not really as strong as they look. I remembered that love and faith and grace and hope are even more powerful than the illusion of fear and anxiety and depression. That is not to say those things are not real or powerful or weighty. Friends, I am witnessing the burden they birth in a young life all too close right now. But it was in that place where I witnessed one of my own giving in to the spirit of fear that the prayer warrior in me rose up and spoke life right in the midst. It was that ‘aha’ moment which solidified a #gracemoment in my heart regarding fighting fear. This life we live… the one recreated by the in dwelling power of His Spirit is full of resurrection power and we have access to it. It’s ours to grasp and to wield in a powerful arc of triumph in our journey. In a moment of recognition, where the leverage of fear had became a clear representation of my faith I felt the scales fall in rapid succession. Truth flooded into my soul instantly. Surrender and confession gave way to a knee-deep bowed low prayer fight against the kind of spiritual fighting that consumes. Surrender was the beginning of the forward movement I needed to make and then the confession that lined up with His Word began spilling out. Syllable by syllable my words became faith words, strengthened by his words, that eventually pushed the fearful words right out of the conversation. Please understand, friends, I know that fear is a very real battle for so many. I know that anxiety and depression are not to be understated. I am wrestling against the weight of oppressive forces for my people in ways that I never knew I would face with them. I know that we need to do more than just make God’s Word our confession sometimes. I know that many need extra help to face these difficulties. And if that is you, please don’t hesitate to get the help you need. As a church we need to be better at understanding this need. But the thing is… I have seen His word at work. I have seen the enemy flee when I speak truth in the power and authority He has given to us. And I have seen hope bloom with just One Word from God spoken in faith over a broken soul. I have seen the handicapped soul burdened by fear and anxiety released by the awareness that God is at work in them. 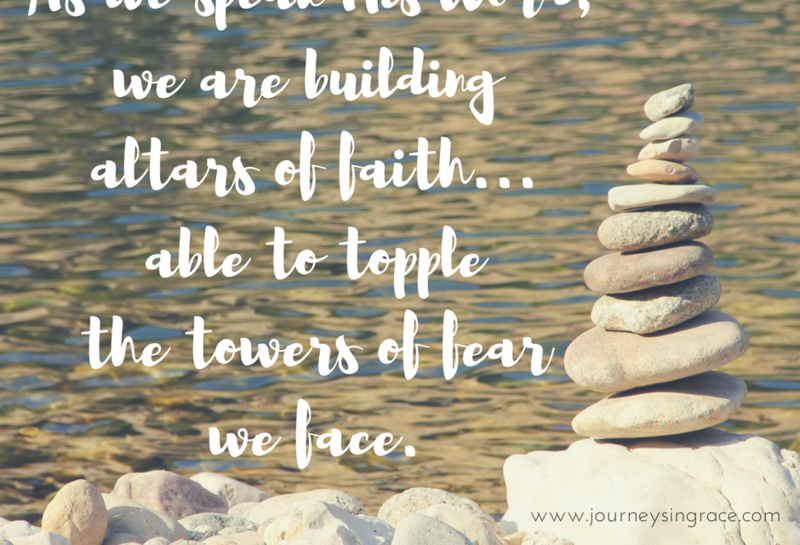 I have seen the self-imposed prisons we build and the towers that topple over us and trap us become broken and removed by each step in the right direction towards grace and God and the power of His Spirit working healing out in faith. …the fear that cripples me is because I don’t believe God will do what He said He would do. … when the world closes in and everything is breaking I am tempted to give up and give in. … I see what is in front of me and forget that God is not done. And sometimes I just fail to believe that He is always faithful. But God’s Word reminds us over and over not to fear, not to give a foothold to the enemy of our souls, not to give in to what we see but to believe in the eternal unseen and to trust in the faithfulness of God, not to build towers of Babel instead of altars of faith. Isaiah 35 speaks a vitamin of grace to the fearful heart. And God’s Word is an immune builder to strengthen our soul against the viral wasteland this world can become in our day-to-day living. He speaks about wilderness living and desert wandering as a space for victory and gladness instead of fear and loss. 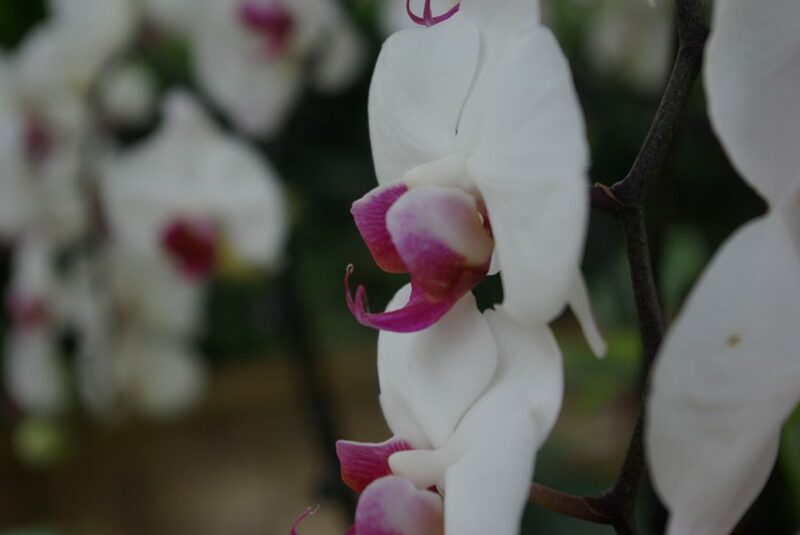 It is a place where the promise of God blooms and joy and glory are manifested instead of fear and anxiety. But you need to be active in this faith fight against the demons that wage war on your soul. Isaiah says to strengthen your hands and confirm your feeble knees…. to be strong and fear not, but instead to BEHOLD God. 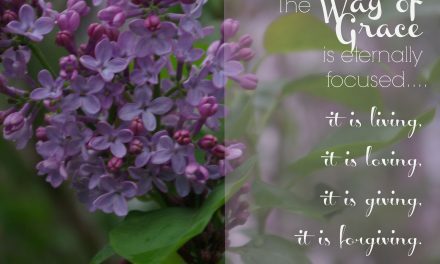 As we look fully at Him, in expectation and in faith, the blindness fear has perpetuated will be removed and the song of grace will be a melody in our ears. 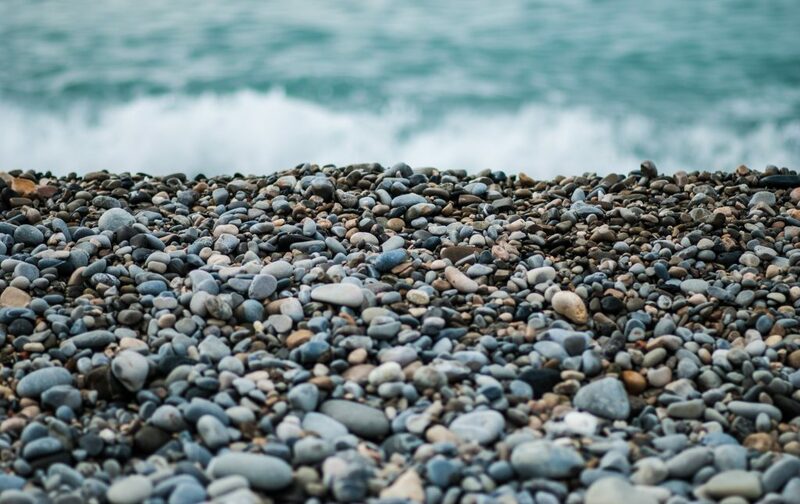 And our journey… it will not be hindered by the fears and failures that keep us from stepping out, but instead it will be a way of holiness for the ransomed of God to return with joy and gladness. It seems that in many of the good things that we have before us… there is a measure of doubt that sometimes threatens to undo us. Fear and doubt and uncertainty can keep us from experiencing the grace God has already prepared for us to inhabit. I want to break out of the cycle that fear continues to try to pour into my life. I want to see those I love free from the oppression that anxiety cloaks over them. I want to see victory over the losses that we don’t have to count. I know that His Word within us is the refining power that redeems, restores, and resurrects life within us. I believe that we can apply His Word faithfully, over and over, and see powerful results. I trust that God, who is always faithful, will meet us right where we are and minister grace into each and every moment of our journey. Because He is good, because He loves us more than we know, because He has already won the battle. I am praying that for you as well! Will you join me as I spend 30 days in God’s Word this month? 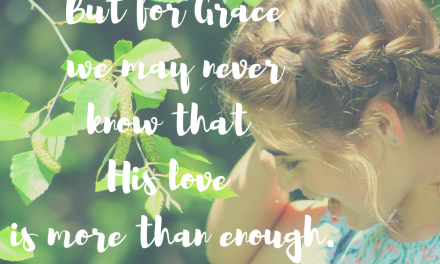 Join me over at the Table of Grace FB community to discuss the scriptures and to pray together over the struggles we all face and the fears we are praying to overcome. I will have a journal to share, graphics and downloads to encourage you on the journey each Saturday as we spend time studying His Word and praying together. I look forward to seeing you there! 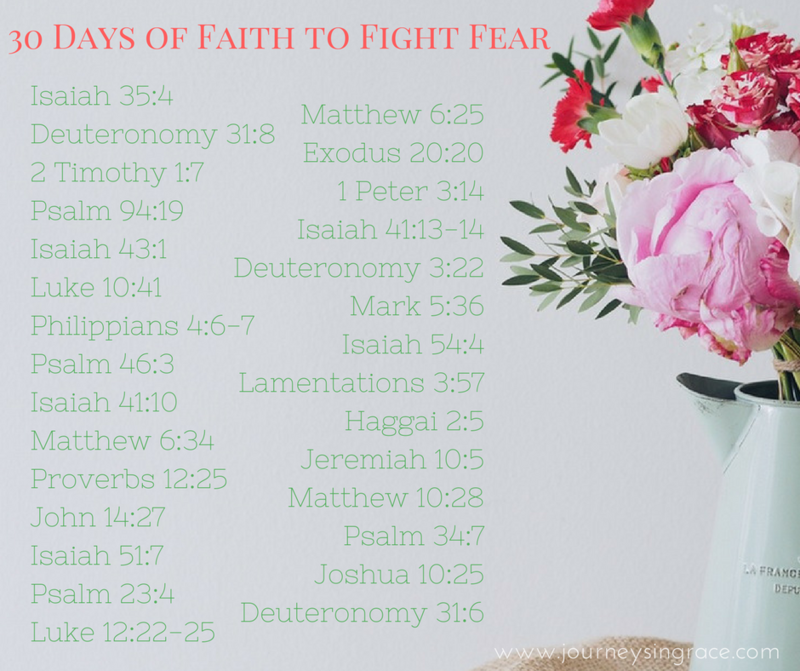 Please enjoy this list of 30 Days of Faith for Fear and the Isaiah 35 print that will encourage you along the way. Great post Dawn, Romans 12:1 always comes to mind when I hear the word surrender. This is a life journey, step by step, bit by bit we learn what surrender & the sacrifice of surrender means. I also have a tendency to find my way back to Isaiah when I’m puzzled or searching for light. How wonderful that you had that time with your wise and wonderful friend, and that God met you in spite of (or maybe because of??) your fear. I love your post! I love it! You are so real, so wise and studied, and so truthful. I love this focus too. Glad I found you in Deb’s links. Great encouragement today, Dawn! I’m glad you overcame your fear and kept your weekend appointment. It is often the small, seemingly insignificant fears, like driving!, that trip us up sometimes. They become like “giants” to us (Numbers 13). It is then that we need to remember God’s promises and step forward with faith. Have a blessed week!